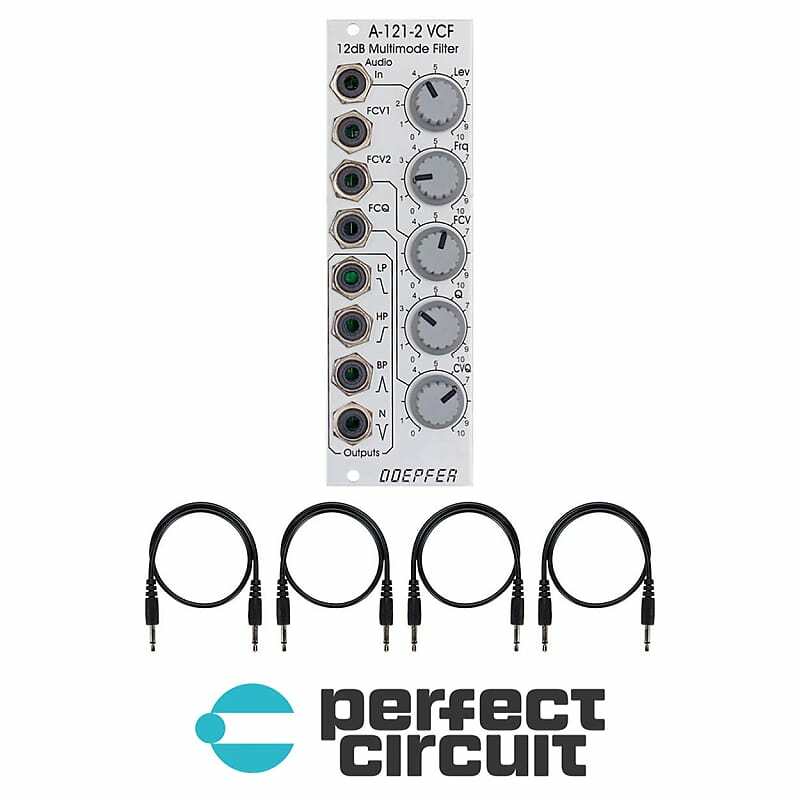 The A-121-2 -12dB Multimode Filter is a filter with four different outputs, Low pass, High pass, Band pass, and a Notch filter. It has two Frequency CV inputs, one with a dedicated attenuator, as well a CV input for resonance with a dedicated attenuator. This module is the upgraded and redesigned version of the A-121. The sound of the A-121-2 is identical to the filter tone in the Dark Energy II, but has been expanded with the use of voltage controlled resonance.